This journey of adopting and subsequently blogging about it has put us in a position to make friends from all over the place. There were lots of people who read our story and would email a word of encouragement or email with questions about how they could adopt. I loved the spirit of community that we were apart of. 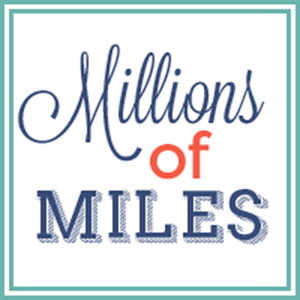 One day, almost two years ago, I was at the bottom of my rope in those early days with Miles. I spouted off an emotional blog post that was more raw than I'd ever been. I wondered if we were going to make it. That's when Scott and Darcy Pentzer walked into my life. Scott and Darcy had never left a blog comment before. They had never once emailed me. But when I was barely clinging to my sanity, I got an email from these strangers from Idaho that just had a few lines in it that said they wanted to send me something in the mail. They promised me that they weren't creepy (and I believed them) and I gave them my address. I didn't think much of it and went back to struggling just to make it through the day to day. It was an awful time. Scott: (In an excited, fast voice) Megan! It's Scott! I need to talk to you about something! Scott: So, I'm in this business club and we have this idea for an app and it's going to change the world. Me: Wow- this sounds really cool. A few months later, things really started cooking on their idea. I started getting these "top secret" emails with the plans and screen shots of this revolutionary new app that was being created. I got to watch this thing in it's infancy all the way through to it's birth when it hit the web last month and it truly is the coolest thing EVER. Scott was NOT lying when he rambled off that this thing was going to change the world. Here is the premise: We all make dozens of choices every single day about the way we live. What if we used the power of those choices to impact how we give? What if we were walking through Target and decided to walk past (FORGO!) that Starbucks that we get a coffee from every single time? Could we turn that $4 cup of coffee that we had already budgeted for and turn it into a catalyst for social change? Yes! And what if it was as easy as pulling out your phone RIGHT THEN and having an app that would send that $4 to a project that was making a difference in the lives of people all over the world. And what if everyone decided that they could forgo that cup of coffee and send the $4 to someone who needed it? Could we not harness that and work together to move mountains? YES, WE CAN! For much of my life, I read this verse and others like it, believing it pertained to celebrities and magnates with exorbitant resources. A trip to Congo and many sleepless nights made me realize it pertained to me. These are the thoughts that have invaded my head over the last three years. I am tired of the game. I’ve reached financial pinnacles. And, I’ve recorded unrecoverable losses in recent years. I’ve found that neither plenty nor poverty – by American standards – have satisfied my soul. But giving, in either financial condition, has set my heart free. The Forgo application is built for the person who realizes that he is, in fact, a rich person. One of our team members had plans to install rock around their fireplace. They had met with contractors, received quotes and were ready to start the project. Just prior to wiring the funds to the contractor they’d selected, neither he nor his wife had peace about the decision to proceed. They knew God was using the fireplace to teach them something – something much larger than either of them realized. Ultimately they re-routed the funds to an organization they are both passionate about, enabling the lives of others to be impacted in a meaningful way. They didn’t dip further into their resources to make a donation: they had already virtually spent the money on a project. Instead, they made a lifestyle decision to forgo the rock around their fireplace. 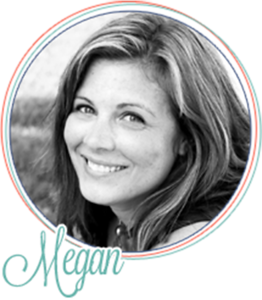 Simple lifestyle decisions to benefit others: that’s what Forgo is about. This one divinely-inspired event – the fireplace decision – is the premise on which the Forgo technology is built, and serves as the benchmark for moving forward. The Forgo technology provides a fork in the road for funds to be routed from something of temporary value to one with eternal impact. Forgo is simply technology, nothing more. Its impact is up to God; our plans are 100% surrendered to His purposes. In the coming weeks and months, we will prayerfully select projects and organizations to support whose values we share. We invite you to tell us about your favorite causes. Together, we’ll tackle these issues one lifestyle choice at a time. We started this project to impact lives for Christ through social justice issues. It is the core of who we are and where we intend to go as group. We will not gauge our success by the number of members or dollars given. Our success will be found, instead, in the marriage of joyful giving and social justice done: as we are released from the bonds of our consumerism, we will liberate others from the chains of poverty, hunger and trafficking. 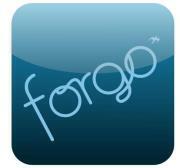 Now Forgo is available to everyone! You can check it out and start seeing the power of how your small decisions add up to impact social change. In the month since FORGO has been live, the funds for 4 wells in Haiti have been raised! (there are multiple projects featured) And one more cool thing? Through this Saturday, there is a $10,000 dollar for dollar match. So if you FORGO that drive through sweet tea and send your $1 through FORGO, it will automatically become $2. Or if you decide to take your kids to the park instead of to a movie and you FORGO the $10 you would have spent on a movie ticket- it will become $20. I don't know about you, but I think that is pure awesomesauce. I've had the app on my phone for a few weeks. It makes it so easy to give. When we can't always sit down and budget the funds we wish we could give away, FORGO makes it possible to give small amounts at a time from money we would already be spending. FORGO is a lifestyle. I challenge you today to download it and start seeing your choices add up beyond your wildest imagination. From your mobile phone go to: www. forgo.it or simply scan the QR code below. HAPPY FORGO-ING!